Another popular ARRMA model to receive an update for 2019 is the Outcast 6S BLX stunt truck. This 1/8-scale, 4-wheel drive bashing machine has thrilled many over the past few years and recieves a variety of internal updates for the season. As with the updated ARRMA Kraton, the Outcast receives a Spektrum STX2 radio system as well as a number of internal “niceties” to make mainteance and upgrades a breeze. Among the chassis updates are a sliding motor mount, “never pop” ball joint ends, a “never loose” servo saver, and a 5-bolt center differential easy dissasembly and tuning. As with previous-year’s models, the Outcast is powered by a BLX brushless motor (2050kv) and is capable of handling up to 6S LiPo power, thanks to its BLX185 ESC. The body color options for the Outcast also remain the same as in year’s past. You can take your pick from an orange or silver reto-styled pickup truck body and begin your bashing adventures. The updated ARRMA Outcast 6S BLX stunt truck is priced at $549.99 and is available online as well as through your favorite ARRMA dealer. 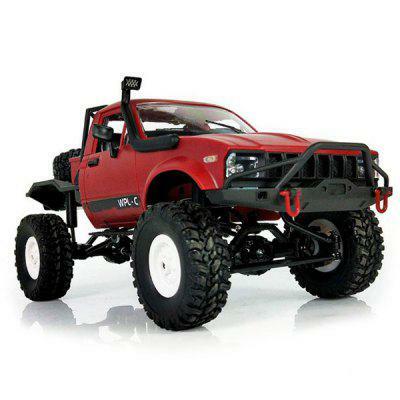 Visit arrma-rc.com to learn more about this 4×4 R/C truck.